Animal Form: Bunny! Jessica takes the form of a scruffy white bunny with big red eyes. 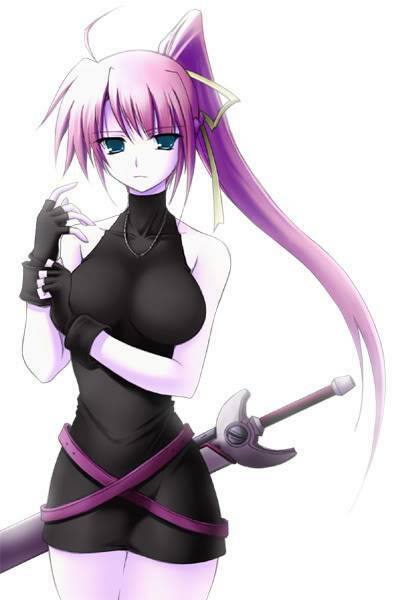 Weapon: While she doesn't have a weapon partner, she does have a purple sword that she carries across the back of her hips. It has a one sided blade and a crescent shaped guard. Appearance: How does he/she look, put a picture if you want but PLEASE describe in words.